Movies, Music and the Major Leagues – Welcome to the world of all things movies, music and sports! Welcome to the world of all things movies, music and sports! Here we go, the top five MCU movies are here! These are the absolute best of the best, the films that have made the MCU the most popular and financially successful franchise ever. Let’s get to it! I still remember going to see this movie with a group of friends way back in 2012, and the incredible impression it left on me. The Avengers is one of the best experiences I’ve ever had in the theater. Seeing all of these characters up on the screen brought a smile on my face from start to finish. We’ve been spoiled the last few years with big action and tons of superheroes, but we can’t forget where it started. 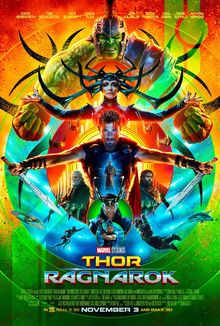 There a still a few MCU movies that are better, but I would argue none of them are as FUN as Thor: Ragnarok. Funny, colorful and filled with great performances, the third Thor entry added some much-needed flavor to an otherwise dull franchise. Though some people may say it was too over-the-top, credit must be given to director Taika Waititi for having a vision for this film, and executing that vision flawlessly. Captain America: Civil War was the best film in 2016 about superheroes punching each other in the face (sorry, Batman v. Superman). 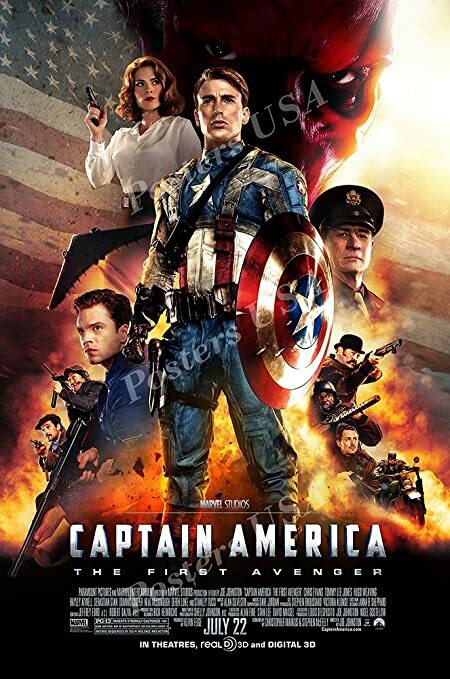 The third Captain America film is basically Avengers 2.5, with many of the Avengers returning to choose sides after the government issues the Sokovia Accords, a document that would make the heroes act only on behalf of the government when they are ordered to. With the team split, the Russo brothers did a good job of crafting character motivations, and a complex story that pits hero against hero and friend against friend. The film is comic book nerd’s dream, and the airport fight sequence is one of the coolest in the MCU. This film. Holy smokes. The Russo brothers had to balance a ton of superheroes, give them each a certain arc, and introduce the main villain, Thanos. And my, did they pull it off. The action scenes are again great, the special effects have been nominated for awards, and Josh Brolin’s performance as Thanos is undeniably great. Few movies have had me shouting and cheering in a theater, and little emotional moments sprinkled throughout makes this a superhero classic, and a tremendous feat in the art of filmmaking. I can’t wait to see where Avengers: Endgame will take us (Go buy your tickets now, they’re going fast). I refused to see this movie when it came out. I thought “oh that looks so dumb! Who are those characters? Is that the fat guy from Parks & Rec?” Then my friend, after some convincing, finally showed me the film nearly two years AFTER it was in theaters, and it absolutely blew me away. It was funny, the characters were great, and it was a touching story about a group of misfits. And it has a talking tree. What’s not to love? Infinity War is spectacular, but the pure nostalgia of this film, and the fun times that I associate with it, AND the fact that it’s just a really good movie, puts it at the top of my list, and I have no regrets. This concludes my series! I hope you all enjoyed. Be sure to let me know your ranking of the MCU films! Welcome to Part 4 of my Marvel movie rankings! We’re getting into the best of the best now, and it’s becoming tougher and tougher to put these movies in some type of order. But I’ve got to try, so let’s get to it! Director James Gunn takes the lovable crew from the first film, and bumps up the insanity. Guardians of the Galaxy Vol. 2 is incredibly fun, sometimes TOO much fun. 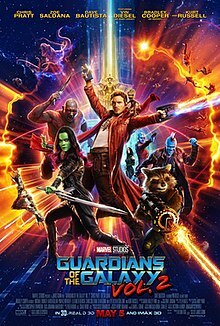 It doesn’t quite have the charm of the original, but it has some of the greatest emotional character moments in the entire MCU, and Kurt Russell is a ton of fun as the villain Ego. Throw in some huge laugh out loud moments and a killer soundtrack, and the end result is a wild ride. After two botched Amazing Spider-Man films from Sony, Marvel Studios was finally given the chance to adapt one of Stan Lee’s most popular creations. Spider-Man: Homecoming is probably the most faithful adaptation of the Spider-Man from the comic books, with the film being as much of a high-school coming-of-age tale as it is a superhero film. 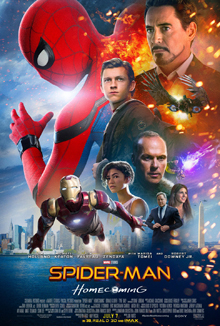 Tom Holland is a pitch-perfect Spider-Man and Michael Keaton makes a tremendous bad guy. This is another wild, funny addition to the MCU thats hard to find a flaw in. The one that started it all. 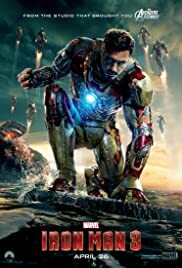 Iron Man is the first film in the MCU, and still one of the best. It established the most successful film franchise of all time, and also established Robert Downey Jr. as a cultural icon. Making a great film about what was then a B-level superhero was no easy task, but RDJ, director Jon Favreau and Marvel Studios pulled it off, and the rest is history. 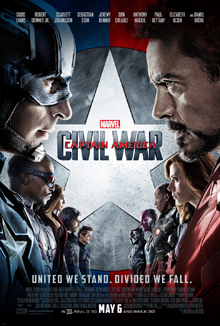 It lacks the scope of future Marvel films, but that’s what makes it so good. It focuses on the characters and the story it’s trying to tell, and it does so almost perfectly. I know a lot of people that have this film in their top 5 or 3, and I totally get it. It’s an incredible film. 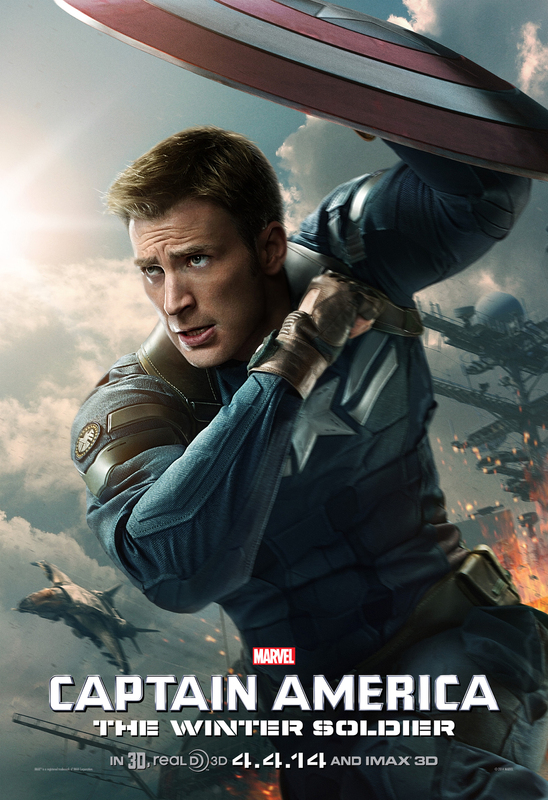 Part superhero film, part action spy-thriller, Captain America: The Winter Solider is tense from start to finish. It has several twists and turns that make it fun for multiple viewings, and the emotional connection between Steve Rodgers and the Winter Solider gives the film a ton of heart. It’s an incredible film, which just missed my top 5 because I do think it drags on a little bit in the middle. Other than that though, this is a must-see entry for any movie lover, not just Marvel fans. Hope you enjoyed! Be sure to come back tomorrow, when I will reveal my five favorite films in the MCU! Welcome to Part 3 of my ranking of the MCU films. We’re starting to see a shift from the lower tier to some of the better films in this series, so let’s see my picks for 13-10! 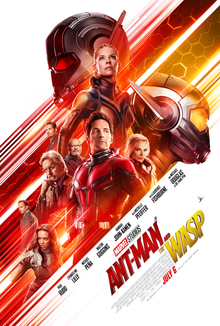 Ant-Man and the Wasp improves greatly over its predecessor, in my opinion. The jokes are funnier, the cast is more enjoyable, and the story is more original and fun. Coming off the grand scale of Avengers: Infinity War, this film is much more down to earth and is a nice change of pace. The villains aren’t great, and Michelle Pfeiffer is completely underused, but this is still a fun time, and a respectable entry in the MCU. Captain Marvel to me is a good example of how to tell an origin story. It avoids copying other origin stories like Ant-Man and Doctor Strange did, and that gives the story some room to breathe, and the result is a really exciting, entertaining time. The only real issue with this film for me is Brie Larson’s acting is a little spotty in some spots, and so are the special effects. But with cool set pieces, some lovable characters and even a nice little twist I did not see coming, this film makes a positive mark in the MCU. I’m a sucker for war films. I’m a sucker for superhero films. So Captain America: The First Avenger is a ton of fun for me. Captain America’s origin is a moving story about beating the odds and fighting back. I don’t like how they rushed through World War II, and the Red Skull is a tad underused, but this film holds up as one of the better films in the MCU’s first phase, thanks in part to a great leading performance from Chris Evans. Black Panther isn’t the best Marvel movie (despite what Rotten Tomatoes may say), but it’s without a doubt one of the most important. Along with the social implications of the film, it also has a very compelling story and good relatable characters that reminded me a lot of The Lion King. I wasn’t a huge fan of the final act, but this is still a terrific film that gets better with each viewing. Thank you for reading! Be sure to get caught up on my rankings if you haven’t read the first two parts, and be sure to check back tomorrow for part 4! Welcome to Part 2 of my MCU films ranking! There are some picks today that I feel are very controversial for different reasons. Let’s get right to it! I truly don’t understand the hate The Incredible Hulk gets. I think a lot of comes from crazy MCU fans who think it shouldn’t be included because it’s “darker” than other MCU films, and that Edward Norton didn’t return as Bruce Banner in later films. But if you watch this film as is, without the hype of the overall MCU, it’s actually pretty enjoyable. The action scenes are well-shot and there are some pretty emotional moments. There’s nothing really extraordinary about it, which is why it’s low on this list, but it definitely is not in the bottom tier of MCU movies. I think this one is going to make some folks upset. Listen, Doctor Strange has some good things going for it. The visuals are among the best in the MCU, and Benedict Cumberbatch is spot-on as the titular Master of the Mystic Arts. But, the story is so underwhelming, and an almost beat-by-beat rehash of the first Iron Man film, and I cannot let that slide. The last 15 minutes of the film is pretty interesting, and like I said before, the visuals are stunning, but the basic story structure keeps this film from being great. This is another film where I don’t really understand all the hate. 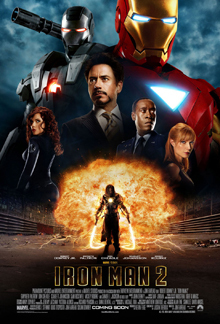 True, it’s not nearly as good as the first Iron Man, and true the shoved way too many plot lines into it, but this is still a fairly enjoyable film. The introductions of Nick Fury and Black Widow are exciting, Justin Hammer is an underrated villain, and the Senate hearing seen is still one of the funniest moments in the MCU for me. There’s a little too much going on, but Robert Downey Jr.’s charismatic performance and some cool action scenes make this film a fun watch. 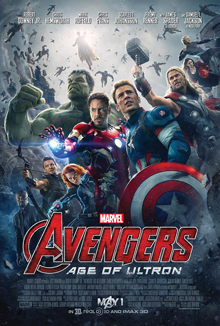 Speaking of being overcrowded, Avengers Age of Ultron, though it has some terrific action scenes, funny one-liners, and some good performances, there is a lot going on. There are so many plot lines and scenes that set up future MCU movies, that the actual narrative and themes of this film get lost in the shuffle. It’s very easy to get confused and wonder what’s happening on screen. Ultron is a pretty cool villain, and there are some terrific moments here, but overall, this is one of the weaker MCU films, and by far the weakest Avengers film. Let me know what you think! Part 3 drops tomorrow! See you then! For all the Marvel Cinematic Universe (MCU) fans out there, you know something BIG is coming in just a little over a month. Avengers: Endgame is hitting theaters so SOON, and I will be celebrating by ranking all of the MCU films in the weeks leading up to the big release. Today is part one, which means we’ll be discussing the bottom tier of MCU films. I wish I was able to watch all of these movies, but I’ve just been too busy, so just beware that if your favorite movie is too low on the list, I may need to rematch it. I would love to get a conversation going on this, so tell me what you think about these films. With that said, let’s get to it! Thor: The Dark World is bland, boring and bothersome. A film about gods, Dark Elves, infinity stones and intergalactic war should not be this dang forgettable. 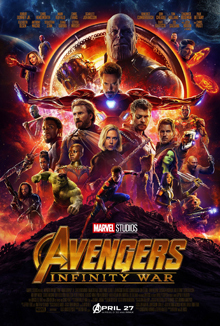 The cast does their best with a weak script, but a convoluted story and a less-than-worthy bad guy make this film the weakest in the MCU, by quite a big margin. One of the few highlights is Tom Hiddleston’s Loki, who gets a few great moments inside here. Other than that, there just isn’t a lot of fun to be had here. I remember sitting in the theater watching Iron Man 3 and thinking, “is this real?” It’s not like this is a terribly made film, it just didn’t really feel like an MCU film to me. Director Shane Black added his own personal touch to it, and while that made for a unique film (which some of you like, I get that), it also led to some pretty unforgivable moments (yes, I’m talking about the Mandarin twist). There are fun scenes, and Robert Downey Jr. is as charismatic as ever, but this film just didn’t sit well with me. For a while, I actually had this film in last place. Ant-Man is an enjoyable film, which is ultimately what made me bump it up to no.19, but it’s also kind of frustrating. This film, and one of the films a little higher up on my list, are the biggest examples of the “Marvel movie template,” where they take a superhero and give him a very by-the-numbers origin story. 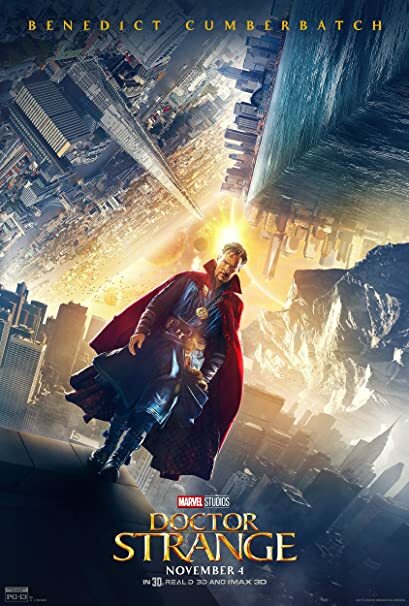 This film, and Doctor Strange, basically takes the story from the first Iron Man film and apply it to their superhero. In this case, Ant-Man. Which makes this film predictable and a little boring. I didn’t even find it as funny as most people did. The first Thor is no doubt better than The Dark World…but it’s still not great. Hemsworth and Hiddleston were born for their roles as Thor and Loki, and Sir Anthony Hopkins is a great Odin, but this story is kind of all over the place. Part epic tale about the son of a king, part fish-out-of-water comedy, the scenes in Asgard and the scenes on earth just don’t mesh very well. None of these scenes or moments in the film are bad, I just think there could have been a better way to tell the story. Part 2 will drop (hopefully) tomorrow, with my picks for 17-14! Be sure to get involved in the conversation, and check back soon! Because I’ve had this record on repeat the last couple days. 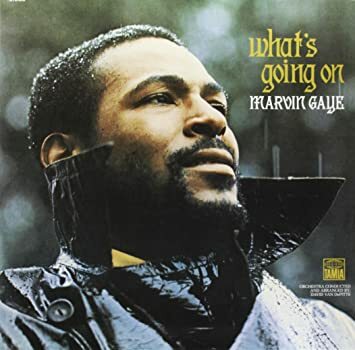 Marvin Gaye’s 1971 album What’s Going On is a concept album about a Vietnam War veteran who returns home to find the world he knew to be filled with hatred and injustice. The album is one of the best-selling albums ever, and is ranked 6th on Rolling Stone’s list of the 500 greatest albums of all time, but what did I think? The best albums tell a story and maintain a theme from beginning to end. Gaye accomplishes this extremely well, with the album telling the story of a Vietnam War veteran. Gaye’s brother was in Vietnam, so he no doubt was the inspiration for the album. Listening to the album with that understanding, it’s easy to see the themes of love, justice and kindness throughout. That combined with Gaye’s very soulful singing ability gives this album a great flow and leaves the listener in a good place after listening through it. The album’s ambition and scope made it unlike anything Motown had ever released, and it has become a significant classic in popular music. Sometimes the flow of the album is so good that it’s easy to get lost. One song will lead into the next song, and it takes a minute or two before you even notice it. With that, the track “God is Love” is too short and “Right On” is slightly too long. Editing those two a bit might have helped with the confusion. I realize that may be nitpicking, but it’s hard to find “bad” things about an album as good as this one. What’s Going On is a great concept album that tackles significant themes of the day, and its ongoing flow takes listeners on a journey and gets them to ponder issues of war, faith, the earth, and peace. One of the key elements to a good movie is a good musical score. Great music can bring tension, make you feel a certain way, and even add some character to a film. Today I want to talk about my 10 favorite film scores, and as you will see, many of these films on this list will also be on my 25 favorite movies list (coming soon…hopefully). So, let’s get to it! This one might be cheating a little bit, because the score from 2001 isn’t an original score. They took old classical pieces and placed it into the sci-fi film instead. But that’s why it works. These pieces work so perfectly in the scenes their in. They set the tone and encapsulate the grandeur of space travel. The opening moments of this score are chilling. Nino Rota won an Oscar for his work on specifically The Godfather Part II, but both films have some amazing musical moments. Quiet and subdued, the score weaves its way through an incredible narrative, and never overshadows what’s actually happening on screen. You’re humming it in your head right now, I know you are. This score more than any other on this list goes hand-in-hand with an iconic character in movie history. Bringing a sense of fun and adventure to these films about…well, fun and adventure, should be towards the top of any best scores list. While The Godfather score was more quiet and subtle, this score is loud and in your face. A big booming score, the music from Hans Zimmer perfectly realizes the weight and drama that The Dark Knight offers on screen. Some of the coolest moments of the film are enhanced by the swelling music, and the score invokes a reaction from the audience. It’s a score that film lovers will not soon forget. I really wanted to put this one higher, this score is so good! It’s also probably the most unique score (besides maybe my No. 4 pick). This score is great because before The Good, the Bad and the Ugly‘s release, a very specific type of music was associated with western films. This film changed that. Now, western films steal their from this incredible score from Ennio Morricone, and now you’d be hard pressed to find someone who doesn’t associate the wild wild west with this signature score. This score gets stuck in my head ALL THE TIME, and I’m sure many of you have the same issue. Anytime you talk about or hear the name “Rocky,” the iconic score no doubt pops into your head. That’s what a good score should do. Epic, dramatic, and triumphant, this score wraps up what the character and these films are all about. Without a doubt the weirdest score on this list, but that’s what makes it so dang good. Composed by Vangelis, the score is eerie, creepy and enhances the somber tone of the sci-fi classic. This score blew me away the first time I saw this film, and it gets better every time I hear it. It’s a huge reason why Blade Runner has become one of my favorite films. That’s what a good score can do. Jurassic Park is another amazing score by the great John Williams. The main theme from the film kicks in when you see the dinosaurs on screen for the first time, and it is honestly one of the most beautiful moments in the history of film. The whole score is fantastic, highlighting the tense moments, the action and the heart of the film perfectly. None of the other scores on this list bring such an emotional impact as the score from The Lord of the Rings. The score is incredibly majestic, and swells at just the right moments of these films. Bringing happiness, sadness, tension and relief, the score from Howard Shore perfectly encapsulates the grandeur of Middle Earth and the personalities of each of the wide variety of characters. The result it one of the best scores of the 21st century. C’mon, how could I give the top spot to anything other than the CLASSIC score from John Williams. Everyone knows the music from Star Wars. The music has a huge impact in pop culture. Part of that is the undeniable success of the films, but it’s also because the music is just so good. Epic, emotional, terrifying and above all beautiful, the many themes, whether it be “The Main Title” or “The Imperial March,” Williams has something musically within the Star Wars franchise that is sure to put a smile on your face. Be sure to let me know what your favorite film score is! Follow @MMMajorLeagues on Twitter to get in on the fun! Movies, Music and the Major Leagues Create a free website or blog at WordPress.com.